TAKE A LISTEN TO " SIMPLY CRACKED RIDDIM"
AssadaUK Music Production is a company new to the music scene based in London UK. They formed their AMP business and motto in 2013 to help artists go further. In their short time in the industry they have made numerous contacts in the DJ world which has helped them get an enormous amount of air play. Respect and Thanks is given to all those that are helping them to make this happen not only for AMP but also for the artists that they are working with. AssadaUK has their own in-house-beat-maker and engineer ?Da Major? who in their opinion is one of the best in the industry, he assists them with the making of Crossover, Jazz, Hip Hop, Grime beats and much more as he has over 25years in the industry. They have elite voices in the form of Yung Assada and Tiny Assada as well as the artists that work with them thus enabling them to make jingles and adverts for Radio Stations and DJ?s all over the world. AMP, also have access to a range of contacts that help them with artwork, designs and mix-tapes. AssadaUK run a tight ship and encourage all artists that work with them to do conscious, positive, clean vibrant and enjoyable lyrics that can be enjoyed by all ages, gender and culture. They also advise all the artists that they work with to be registered to a recognised association such as PRS, ASCAP, JACAP etc. 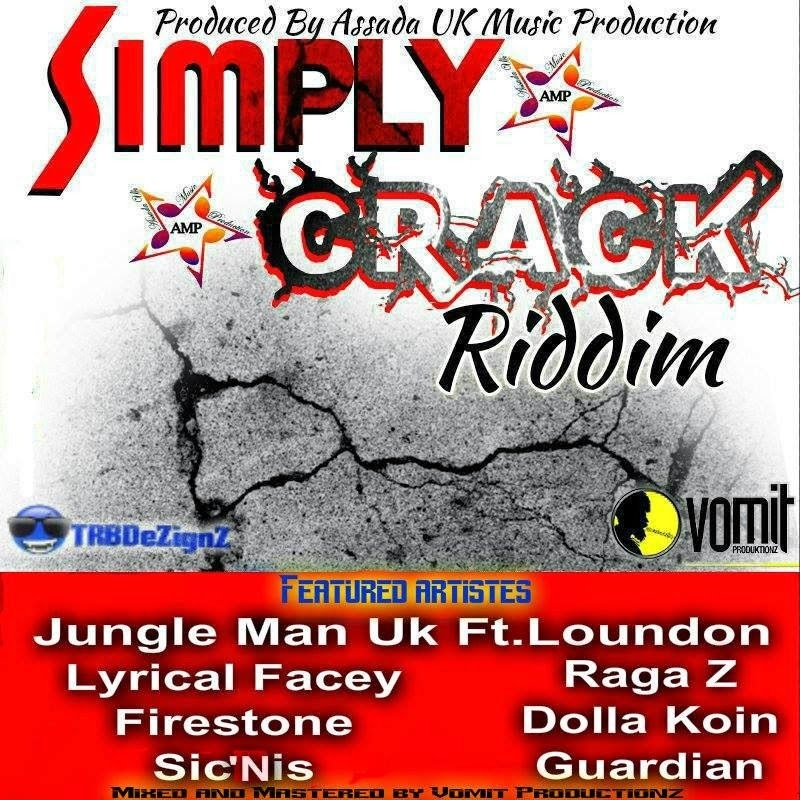 AssadaUK released their first project SIMPLY CRACK RIDDIM 20th September 2013 which featured a range of artists such as Singers, Rapper and MC?s. The tracks are currently getting air play in the UK USA, Tenerife, Africa, Jamaica, Switzerland and more. Due to the variety of artists SIC?NIS, DOLLA KOIN, LYRICAL FACY, GUARDIAN, FIRESTONE and JUNGLE MAN UK ft LOUNDON the riddim has an appeal for many different music genres and a wide audience. To contact AssadaUK if you are interested in doing any projects please send them Bio, any recent work so they can hear your style, and a professional picture. Before entering any works with artists AssadaUK will send out paperwork to protect both the artist and themselves which clearly explains expectations on both sides.